Set to be revealed tomorrow on May 10, Google is partnering with Jeff Koons to create Live Cases for Nexus phones. If you did not already know, Jeff Koons is an American artist, known time-to-time for working with pop culture subjects. On Twitter and Instagram, a few musical artists have been hyping the hashtag “KoonsXGoogle,” which is in direct reference to the soon to be unveiled collaboration. So, which artists can we expect new Live Cases from? If the artists hyping the collab are any indication, we can possibly expect a few from Bono, Lady Gaga, and other big-time names. If you will recall, Google did a similar project with Skrillex when they sold cases for the Nexus 6. 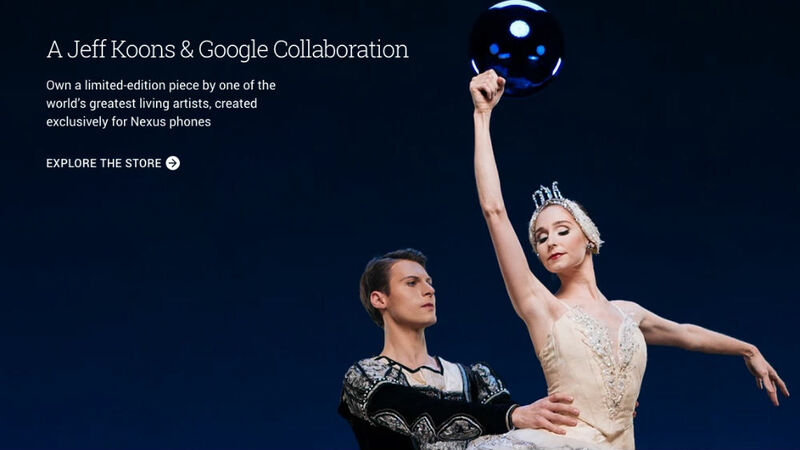 A landing page has been posted to the Google Store for this collab, but no designs or official list of artists has been made available. Tomorrow, May 10, we will know what exactly is going on.